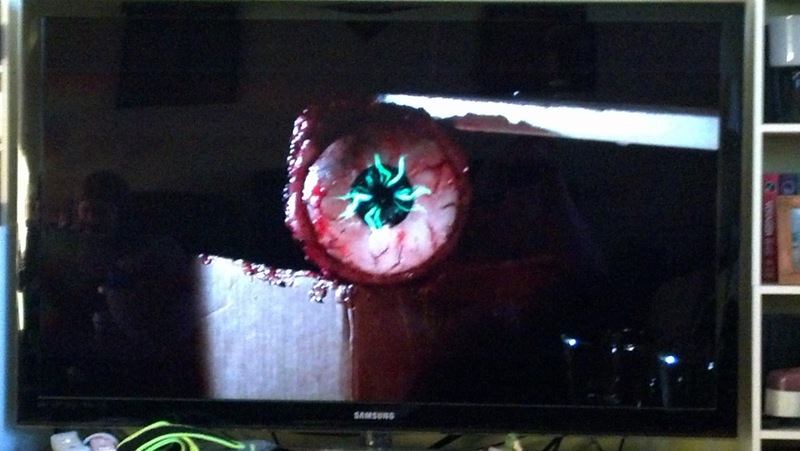 I started my October 31st with the last run of horror programming that started on October 1st. 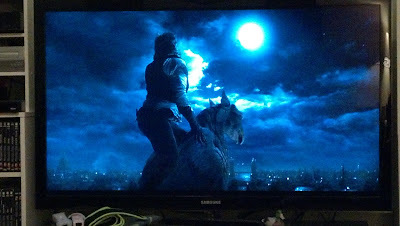 I have some crappy cellphone shots from the movies. And how 'bout that shirt I'm sporting? Yes, I am in this picture. A stop at my favorite used DVD store - Moviestop - added some new flicks to the video vault - including Zombie on Blu-Ray! Huzzah! 2011's Killer Eye: Halloween Haunt was next. adding the comment "Look at Leatherface eating that Pepsi." So of course I added "Wow, Pinhead is smashing that Dew." Mysteriously, the picture disappeared moments later. 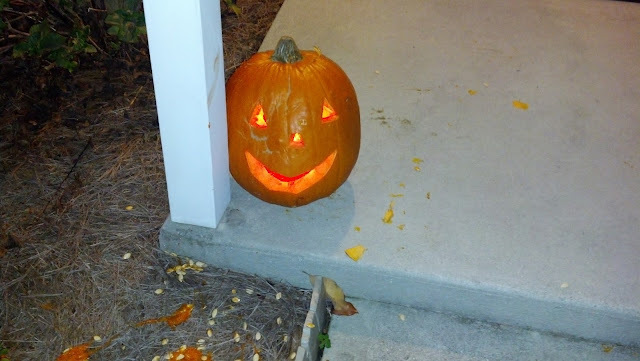 We didn't get a lot of trick-or-treaters - I'd say 15-18 kids across 6 or 7 groups. I have scads of candy left over. 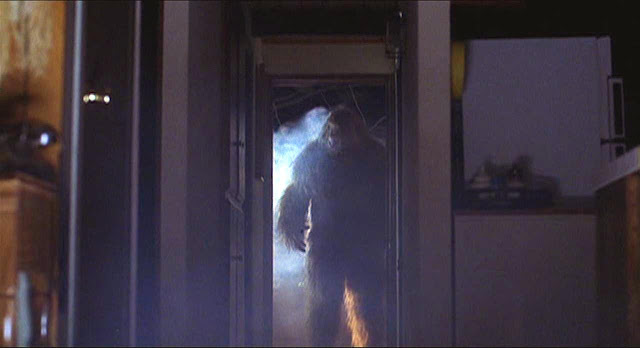 Tales from the Crypt: "Til Death"
Heroes of Horror: Lon Chaney Jr.
Tales from the Crypt: "Three's a Crowd"
Tales from the Crypt: "The Thing from the Grave"
41 movies (15 repeat viewings), 6 TV episodes. Not too shabby. I also read only horror - a few books, and some House of Mystery comics. It feels weird not needing to have a post ready for tomorrow - I think I'll take a day or two off - probably next posting Saturday with a poster/trailer combo as usual. 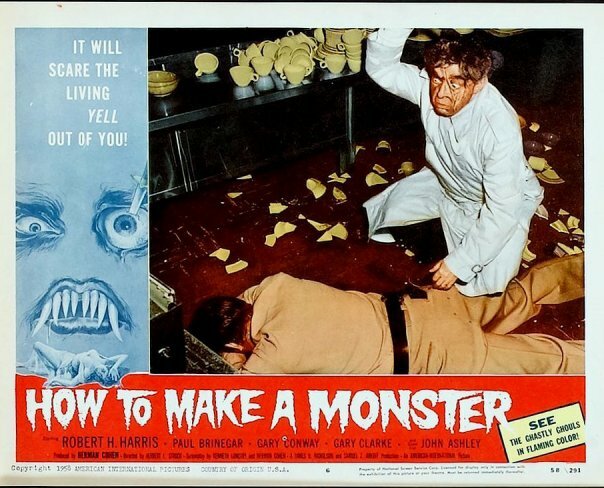 Maniacal Movie Poster Monday #92! 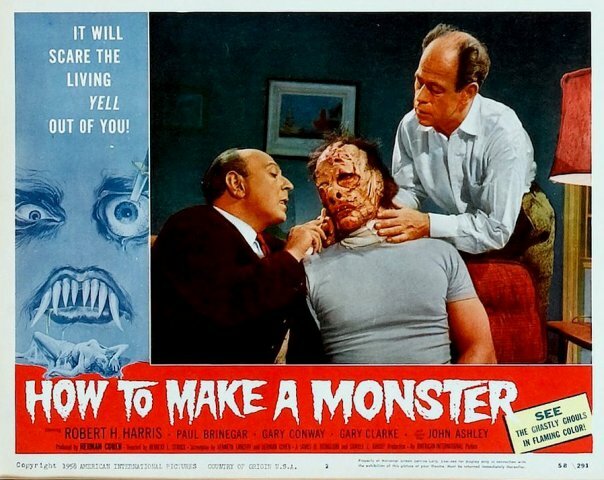 For the last MMPM of this Halloween Horrorfest - it's shaping up to be a theme week - featuring the monster with no shape! 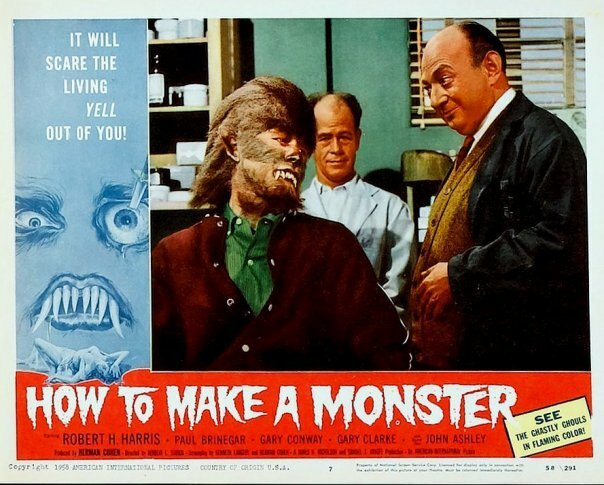 People make a lot of fun of this movie - and I can understand - the goofy theme song, the white bread TV sitcom presentation of 50's life - but I still say this is one of the best realized movie monsters from that decade - second only to The Creature from the Black Lagoon for realism. 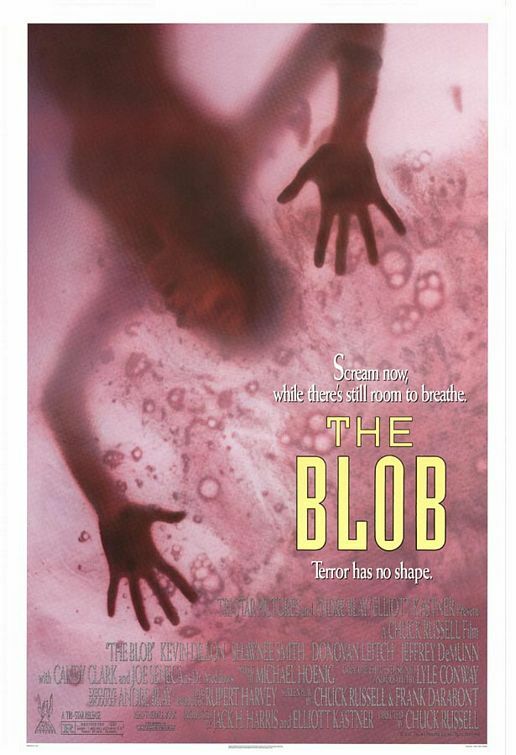 It's a creepy creature - it can ooze silently up on you and engulf you in a big red digestive acid bath - that is effective to me - not silly. I love this movie - always have and always will! 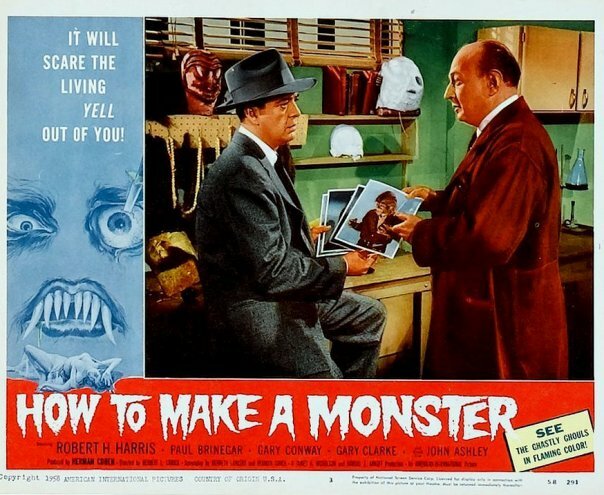 Now this one is a goofy flick - Jack H. Harris's sequel to his 1950's hit directed by his neighbor Larry Hagman and featuring a crazy cast of Hagman's pals, with copious cameos thrown in for good measure. 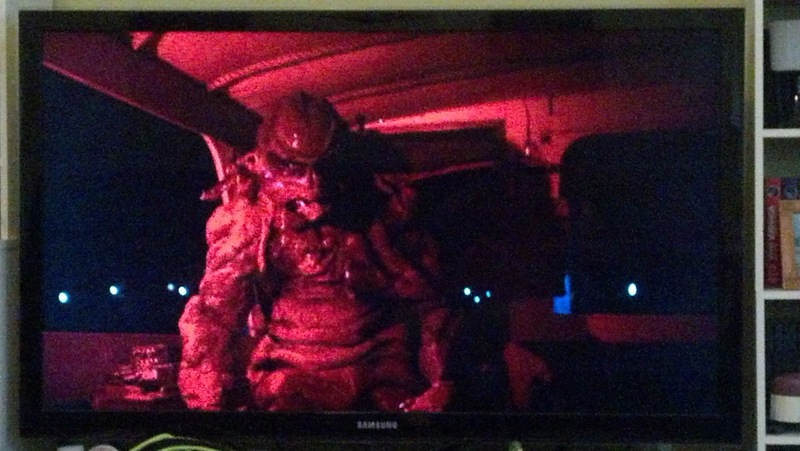 The monster is still effective, but the movie surrounding it is pretty silly. Still well worth a watch. 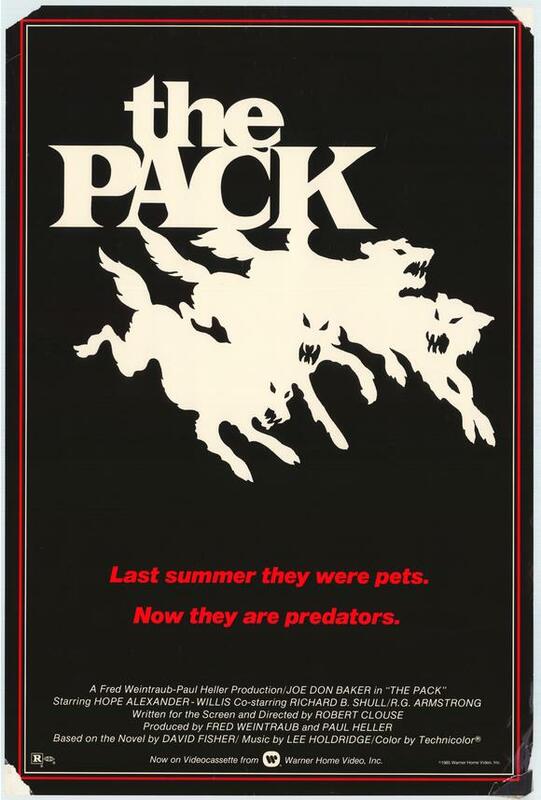 For whatever reason I missed this remake in the theater - and saw it on VHS when it came out. I liked it - but only saw it the one time - want to see it again and see how it holds up. It's got good names in front of and behind the camera though - so it's not a surprise that it actually worked. 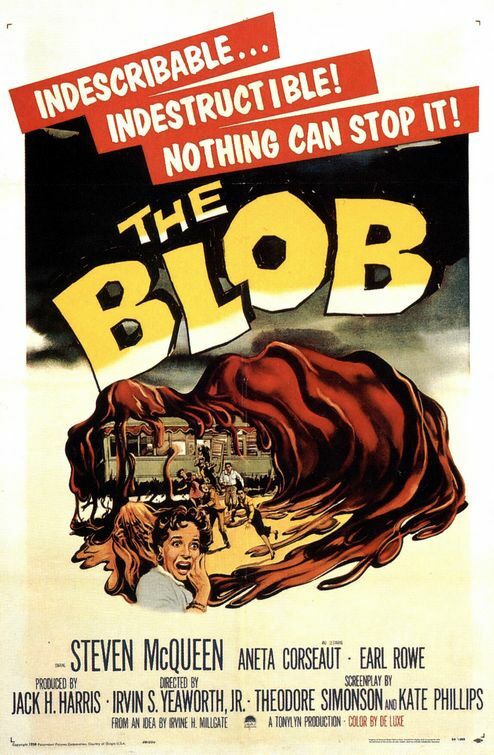 Apparently there's been some talk of Rob Zombie doing another remake of this - probably off the boards now - but it sounded like it could be interesting - although I'm sure the Blob would have found itself engulfing plenty of white trash characters as played by as many genre faces as Zombie could hire - but the 1958 movie - despite being one of my favorite movie monsters - is not a sacred cow to me - so I was actually okay with this remake idea. Of course it doesn't happen. Ah well - until next post, you Can Poke Me With A Fork, Cause I Am Outta Here! 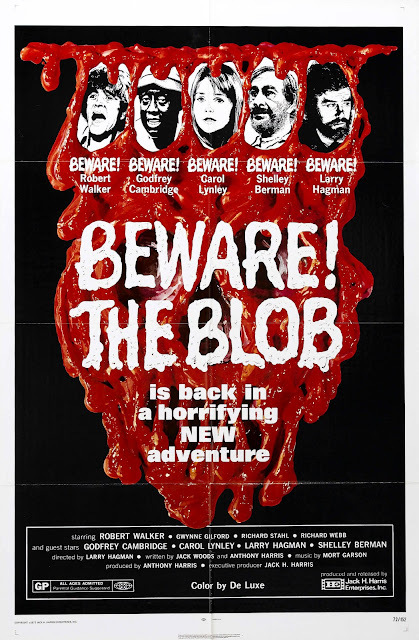 Here’s a horror effort that on the surface seems like a standard issue Syuh Fyuh Creature Feature mixed with Alfred Hitchcock’s Rear Window. Preston Rogers (McCoy) had a terrible accident six months ago – a fall while climbing Suicide Rock left him a paralyzed widower in one fell swoop. Now he’s been sent back to the area by his health care professionals so that he can get past the terrible events and find his will to live again. They probably also want him to think about the wisdom of climbing something called Suicide Rock, although that’s not brought out in the story. But I was sure thinking it. Preston is now confined to a wheelchair, and he’s accompanied by a physical therapist/assistant named Otis (Tinsley), a semi-sadistic jackwagon not looking out for Preston’s best interests. While these two gentlemen square off in their house – next door a quartet of lovely young women arrive for a weekend getaway. Preston starts watching the girls – mostly innocently – just something to do – but as night comes on he starts to realize he’s not the only pair of eyes watching their house – there’s something else out there. Something big. Something furry. Something vicious. After one of the girls disappears, Preston is forced into the role of hero. But how much can one man do stuck in a wheelchair in the Great Outdoors? I assumed going in that this was going to be a fairly dreary affair – poor acting; too much talk; and a chintzy CGI creature. 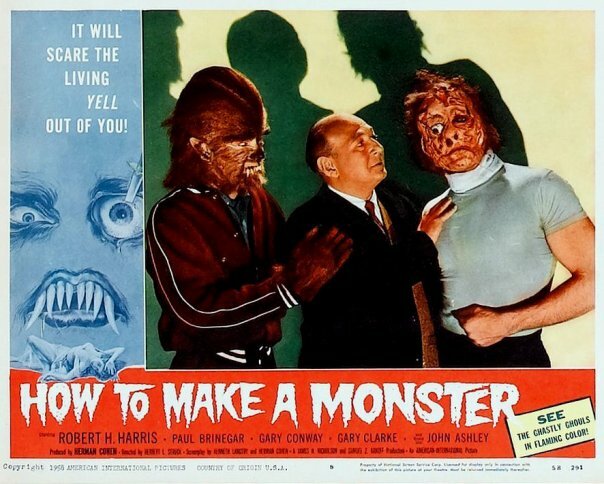 I was surprised and delighted when instead it turned out that a fine cast with several familiar faces sparks some solid monster action – and best of all – that monster is a man in a nicely designed creature costume! McCoy leads the cast with a solid performance, utilizing the actor’s likability and sensitive side in good measures. The rest of the lesser known cast are fine - with Haley Joel standing out - but it's the veterans who give this some fun and some oomph - especially Combs - nearly unrecognizable in white trash mode - and Gleason - terrific spoofing his iconic Breakfast Club character in one of his final roles. Director Schifrin is the son of super composer Lalo Schifrin - and brings an obvious love for this kind of movie to the table - he handles everything well - suspense, scares, some humor, a little gore - and he got his pop to provide a really nice score - had this been your run of the mill Syuh Fyuh flick it would have been a synthesizer or some death metal - the old school stuff from Schifrin senior is therefore most welcome. 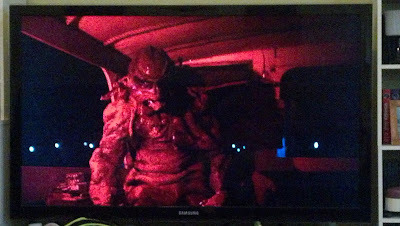 Co-star Tinsley is really good playing his jackwagon role - surprising then that he also worked behind the scenes as the lead special effects makeup artist, designing the creature and the really well done practical and graphic effects when it attacks. If you like a good old creature on the loose flick - but have been numbed by all the computer generated versions lumbering around on cable - here's one that does it like they used to do it - and does it well. 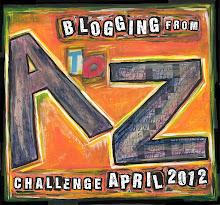 A high recommendation for this one - check it out! 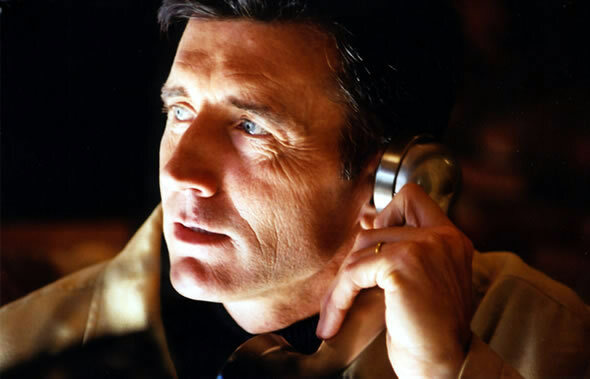 At around 1:24:51 Matt McCoy thinks the movie is over. Haley Joel and Tiffany Shepis are in! Welcome to the list, ladies! 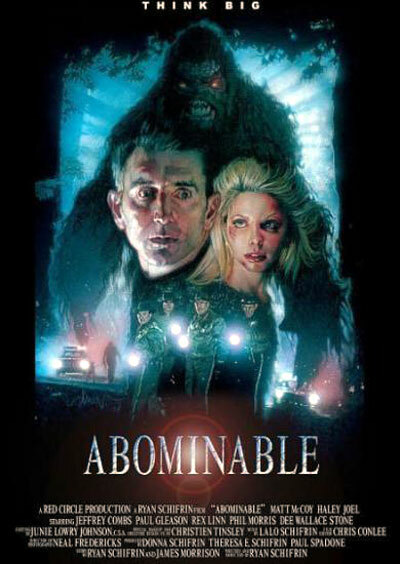 Buddha Man says: "Abominable is anything but!" Thank you BM - and until next post, you Can Poke Me With A Fork, Cause I Am Outta Here! Saturday Night at the Movies 10/27/12! I saw this Nature Runs Amok (aka Chew 'Em Up and Spit 'Em Out) flick on Showtime way back when - and I remember thinking it was pretty tense and exciting. I mean, you have some cool actors, and you have several real dogs with not one pixel of CGI anywhere in sight! 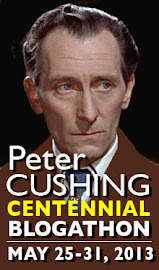 So I asked Warner Bros to make me up a DVD of this one - and it now resides in the video vault ready to spin anytime - even tonight - should you care to come by! A cool set of classic lobby cards! as Dumond's assistant looks on. 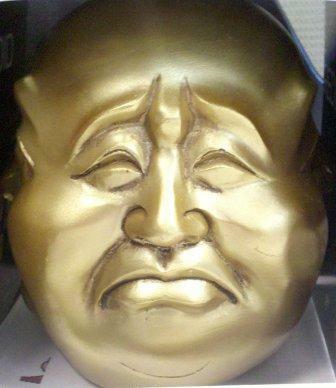 audition for American Bandstand does not go well. This is how you do the Watusi...oh...FIRE!!!! I enjoyed both - but would you? The Child (1977) This is an ultra low budget horror flick from distributor Box Office International, run by the amazing Harry Novak. Harry would scope out movies like this and put them on the drive in circuit throughout the 1960's and 1970's. In this rather odd little movie, pretty young Alicianne has been hired as a nanny for a girl named Rosalie. 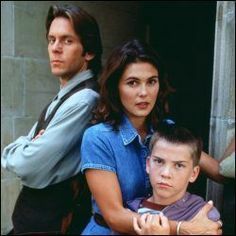 Little Rosalie lives way out in the boonies in an old house with her crabby old dad and much older brother. 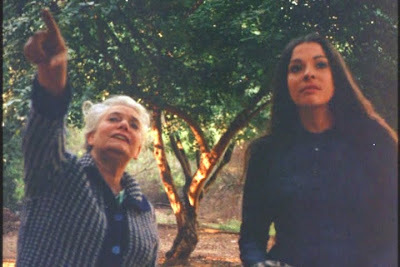 Alicianne finds Rosalie to be a strange little girl who spends a lot of time in the cemetery down the road. Don't feel too bad for Rosalie, though, because she does have some friends. Friends who hail from that very same cemetery. 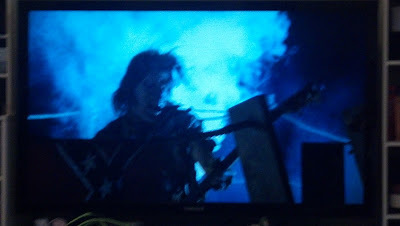 Soon, everyone who makes Rosalie mad starts to die horrible gory deaths. With no real explanation, it seems Rosalie has some kind of funky control over the dead, willing them to crawl out of their graves and attack those she feels are responsible for the death of her beloved mom, which is pretty much everybody, including the old neighbor lady, the gardener, her dad, her brother, and eventually even the new nanny. I enjoyed this movie's modest charms, though there's seemingly not much to recommend about it. The script is more a series of scenes than a story, and that lack of flow is not helped by director Robert Voskanian who keeps the pace pretty slow for the most part. One scene ends, another begins and there's no feeling or connection between them. The passage of time in the movie is poorly communicated. It's day, it's night, it's day again, but no time seems to have passed. The acting is not very good, and it's not helped by the fact that all of the dialogue on the soundtrack seems to have been dubbed back in later. On the plus side, there is a Halloween scene involving the scariest Jack O'Lantern EVER, the last twenty minutes are pretty zippy, the gore and makeup effects are nicely done considering the money involved, and there's a general air of dread about the movie starting from the early scenes that gave me enough to mark this one on the positive side of the entertainment scorecard. I'm not sure most would agree with me, so approach this one at your own risk. Something Weird's DVD release features several fun extras as well, including another zombie movie, two old film shorts and some wonderful 60's and 70's era radio ads for horror flicks played over a gallery of movie posters for the same kinds of movies. 2001 Maniacs: Field of Screams (First Look International, 2010) Five years after director Tim Sullivan rebooted/sequelized Herschell Gordon Lewis's second gore fest Two Thousand Maniacs, the gang got together again for a sequel, with Bill Moseley stepping in as Mayor Buckman for a nowhere-to-be-found Robert Englund. This time, the ghostly town of Pleasant Valley has diced, chopped, and slashed so many Yankee tourists they've drawn the ire of the local constabulary. So, they take their act on the road, eventually setting up a Southern style carnival in a field in Iowa. What luck that moments later a reality TV show starring two spoiled rich heiresses breaks down right on the edge of that field! From there, it's business as usual, as the randy and evil Southern ghosts wreak vengeance for their deaths at the hands of Union soldiers during the Civil War by killing the cast and crew of the reality show in spectacularly gory - though definitely comedic - ways. Who will survive and what will be left of them? 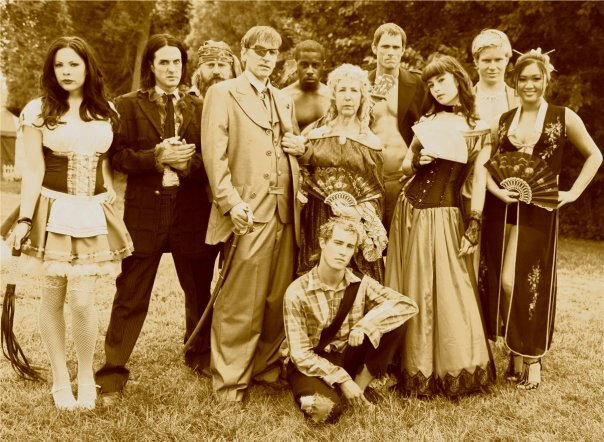 Bill Moseley and Lin Shaye, flanked by a remarkably dverse group of Civil War era ghosts. Thank you for your time, and please always remember - Kibbles and Bits is not alphabetical, but it is ingredientical. 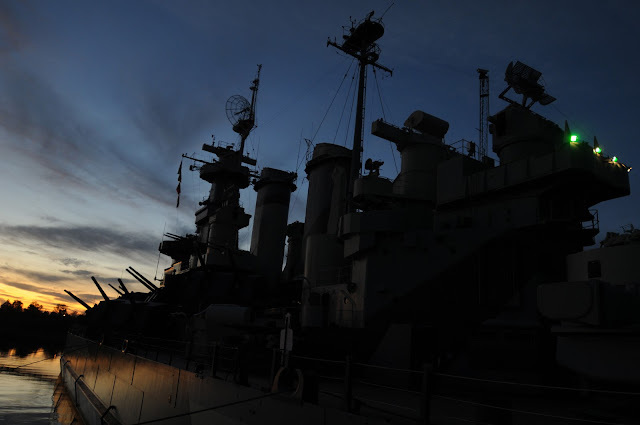 Ghost Hunt on the Battleship North Carolina! I've been champing at the bit...er, a bit...lately, wanting to go check out one of the many many horror/scifi/comic book conventions that seem to be happening every weekend not less than four hours drive from my home. My wondrous wife Suze says I'm wanting to "go among my own people." The main obstacle to my going to these shows is the distance, and consequently, the cost. However, I had been eyeballing the Mad Monster Party in Charlotte NC in March - but was still holding out due to the cost of driving, hotel, admission, and then merchandise and autographs. Then, I started to see notices of an event that was going to be occurring much closer to home - almost in my backyard. And who should be one of the celebrity guests at this shindig - why, none other than LGOOH's 2011 Official Blog Celebrity herself! 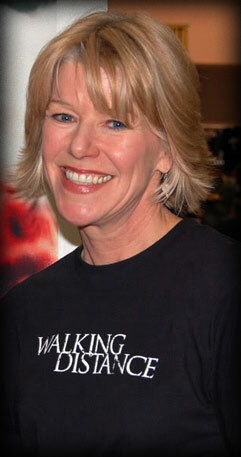 Yup, my buddy Adrienne King was going to be appearing at an event a couple of months after the Mad Monster Party convention – along with her Friday the 13th co-star Ari Lehman. Imagine my surprise when I read on and discovered they were going to be two of the celebrity guests at a ghost hunt on the USS North Carolina – a WWII era battleship now permanently docked as a floating museum right here in my hometown! And it was happening on a Friday the 13th! 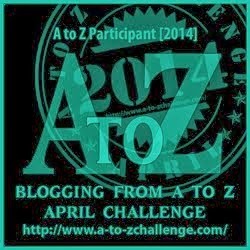 Well, that was that – Mad Monster was out – Ghost Hunt was in! I purchased a VIP ticket and then started work on getting something cool for Adrienne and Ari to sign. 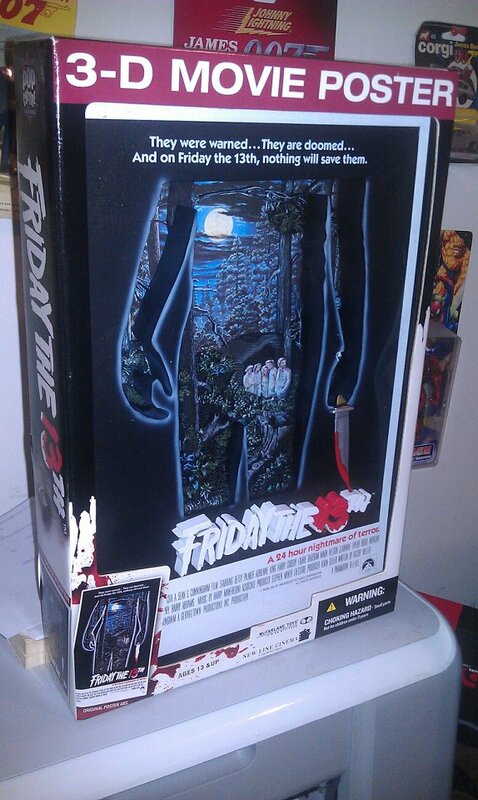 I ended up purchasing a VERY cool piece – a 3-D Friday the 13th movie poster from McFarlane Toys! 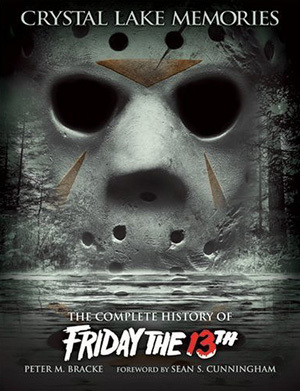 I also decided to take my Friday the 13th DVD, original novelization (from around 1986) and my hardcover Crystal Lake Memories book. No point in missing any opportunities, right? 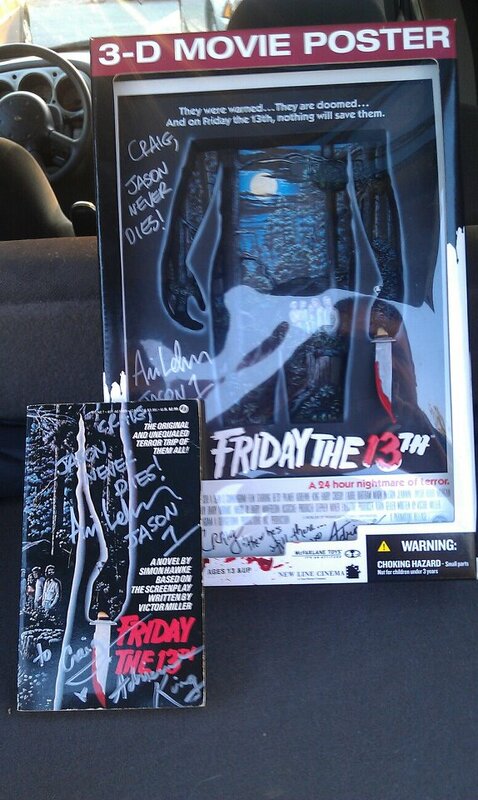 Of course, I already had several autographs from Adrienne – on some Crystal Lake wine bottles, and my prize poster from winning the first Crystal Lake Wines Coast to Coast Toast photo contest; but it was more about getting to meet her face to face – and adding Ari Lehman only made it more cool. 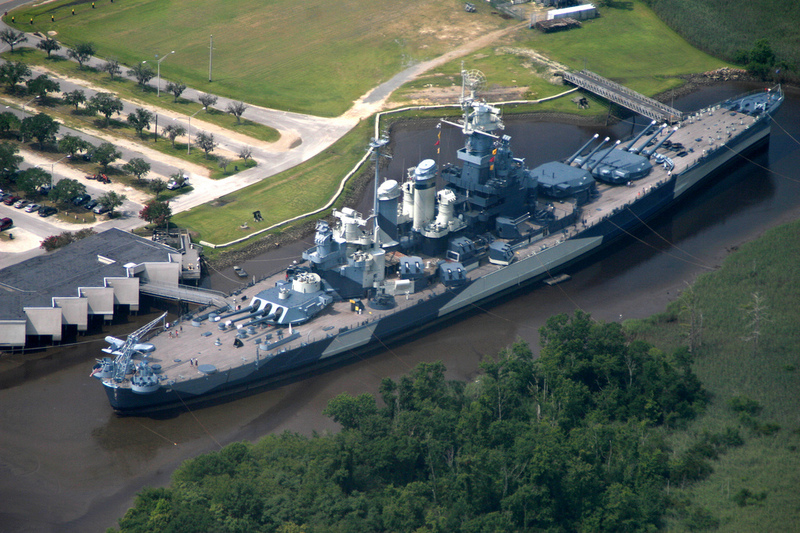 The Battleship North Carolina in her permanent home. Note the museum building and big gangplank on the left. I arrived for the early VIP meet and greet – an hour of time with the VIP guests and the celebrities. 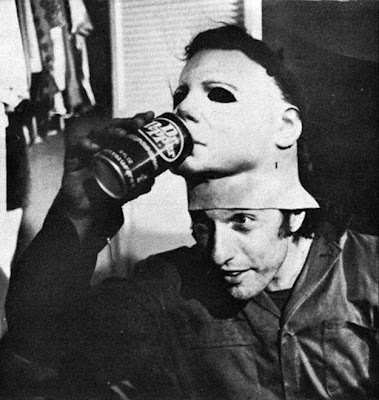 Now, in addition to A-n-A – there was some guy who was supposed to have been on the special effects makeup crews of several movies in the 80’s…but I’d never heard of him. There were also several luminaries from the world of televised ghost hunting. 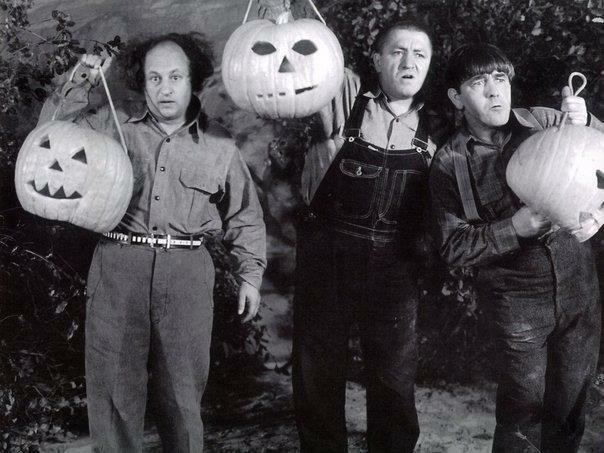 There were two brothers with a show on one network – that’s as much as I gleaned from their introductions – and then a trio from Syuh-Fyuh’s Ghost Hunters International. However, these are not shows I watch, so I had no real interest in meeting them. I’ll also go on and say here that I’m agnostic about the existence of ghosts. I like to hear the stories of people who say they’ve interacted, getting chilled sometimes when the story is good and creepy. But I’m not sure a TV show tromping in and setting up is going to be able to get conclusive evidence, so the shows don’t interest me. But, I bring an open mind, shall we say. However, I will tell you this – when the doors were opened for the regular ticket holders to come in – there were some Truly True Believers in our midst. But that’s getting ahead. Adrienne and Ari - friends to the end. Showing my VIP ticket gained me access to a conference room in the museum building next to the battleship. At the back of the room there was a row of tables, and all of the celebrities were set up back behind the tables. There were probably 30 or 40 guests there, and they were scattered across the tables in the back. As I neared the tables Adrienne looked up and saw me – and grinned broadly as she waved at me. How awesome to be recognized! We greeted each other warmly – and she introduced my to Ari Lehman, who was right next to her. They both signed all the stuff I brought – and I took all that back out to the car. I hung out with them the rest of the hour – Adrienne introduced me to several of her fans as the Coast to Coast Toast Photo winner – and it was neat watching she and Ari interact with the other people. After the crowds had died down I got my photos with A-n-A and they agreed to shoot the endorsement videos for LGOOH – although I wish that could have happened away from the crowd as the background noise drowns them out a lot. 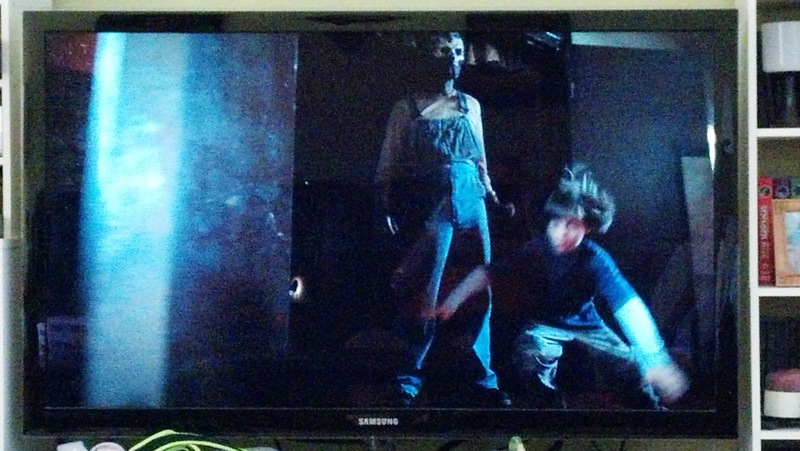 consequently the machete in the picture gets cut off (pun intended). I still appreciate the help. After the Q+A it was time to start hunting ghosts! The groups started forming up – and I joined the Green Group. However, Adrienne was being detained by the purported makeup effects artist – and suddenly the group was led out by an event producer – with Adrienne left behind. Not sure what to do – I went with the group. I was not real happy as we made our way into the bowels of the ship – I had hoped to spend the bulk of this Friday the 13th evening with the star of Friday the 13th – but that appeared now to be off the table. 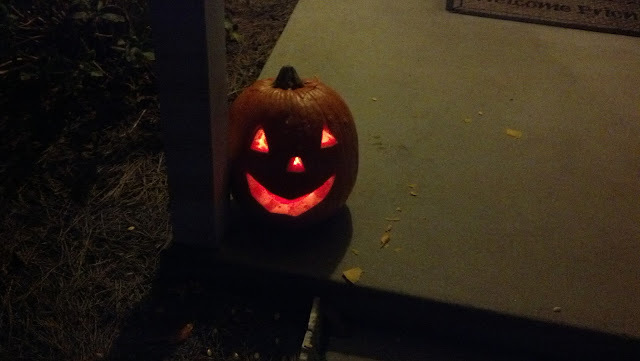 I settled in and got into the spirit of things after a bit. And wow – what I said before about Truly True Believers? Oh yeah! We got one of the ghost hunters added to our group (things got a little ragged on the ship in terms of plans and such) and she had a gizmo just like Egon’s EKG meter from Ghostbusters – minus the flyout wings – but it was supposed to be measuring the same energy as Dr. Spengler’s device. Well, after we went into the depths of the ship and stopped in one room – the ghost hunter asked if anyone else in our group had one of the EKG meters – and eight people had them! There were people in my group with spy tech briefcases full of ghost hunting gadgets! I was boggled! We worked our way through the ship – then stopped in the galley about an hour into the hunt to regroup and to trade ghost hunters. 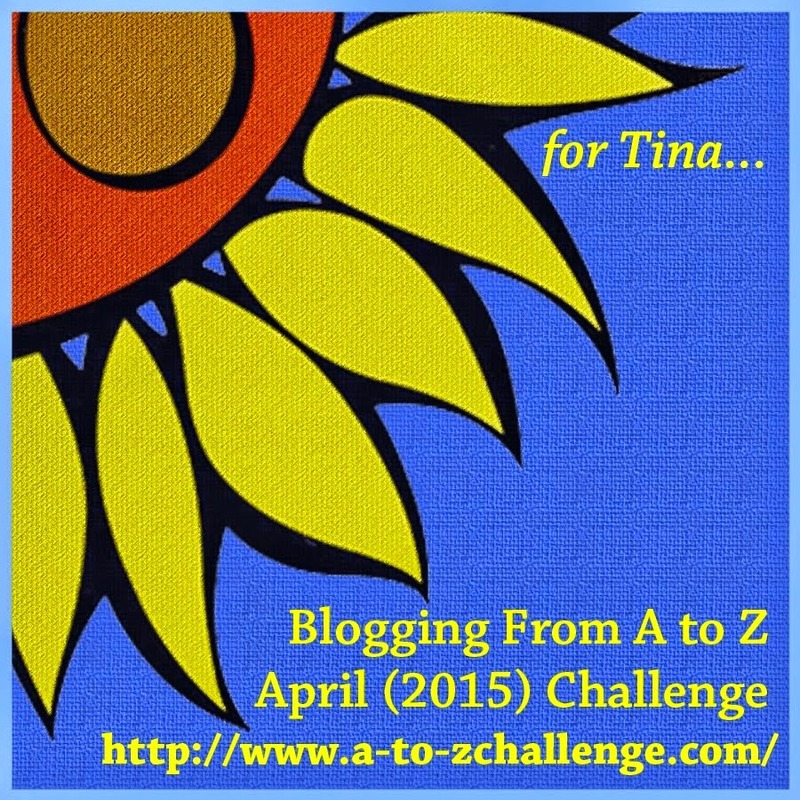 As we’re hanging out there – I hear a voice call out “Craig Edwards? 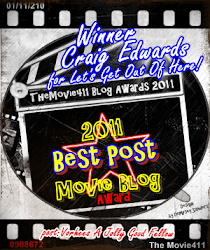 Has anyone seen Craig Edwards?” And in through the door swept Adrienne – she’d spent all the time after the conversation with the makeup artist had ended looking for me – I was thrilled and honored. The groups kind of broke up a bit at this point – so Adrienne and I ended up a duo as we worked our way all around the ship. She’d had a couple of “feelings” about a couple of spots – so she showed them to me. We went up on deck at one point and made our way out onto the prow of the ship – at which point I bellowed “I’m King of the World!” spoofing Titanic - which Adrienne thought was hilarious. We had a marvelous three hours walking all over that giant battleship. 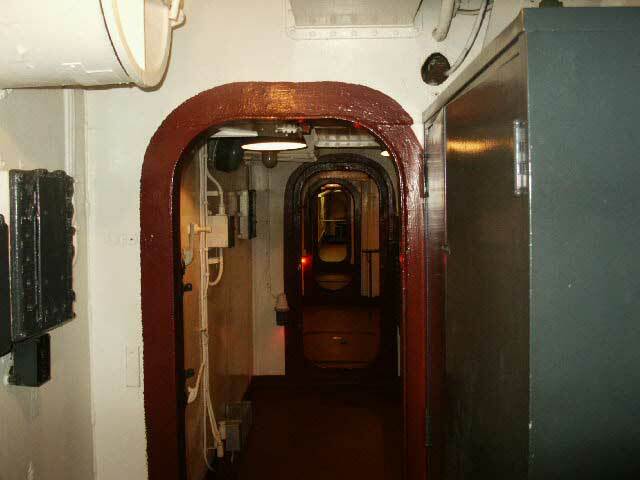 We spent part of the time in the bowels of the ship back in the galley – working with the Ghost Hunters International group on a ghost detecting setup utilizing multiple gadgets spread all over a room. 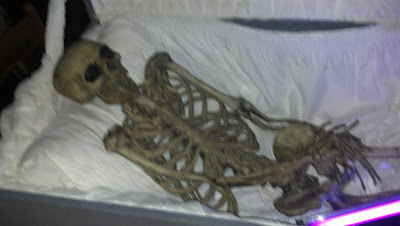 We talked with the ship’s caretaker who has some good ghost stories of his own to tell. Eventually the hunt ended, and people started leaving the ship. Adrienne and I found ourselves exiting the ship on our own. I walked around with her until we found the event producers – so they could get her a ride back to her hotel. With a warm hug we parted ways. It was a marvelous evening – I had a car full of signed Friday the 13th memorabilia, and Adrienne and I had cemented a friendship. Once again – had you told that young boy back in 1980 that one day he would be pals with Alice from Friday the 13th – he would have laughed you out of the room. The Ultimate Final Girl meets The Ultimate Blogging Fan. 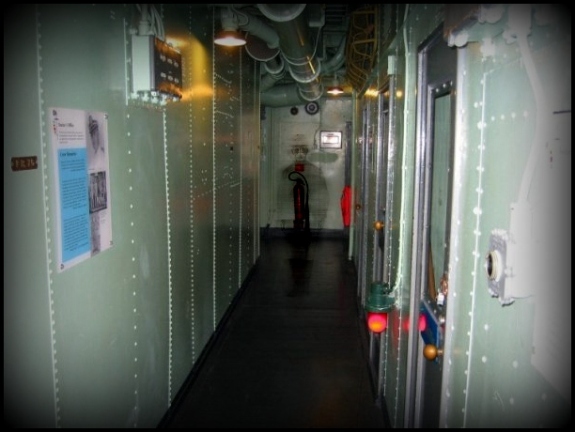 I’m not sure that we encountered any ghosts in the Battleship North Carolina – but I’d finally spent some time “among my people,” and it was just the kind of fun I was hoping it would be! PSA A Go Go 10/23/12! And he did know about personal demons, the big lug. 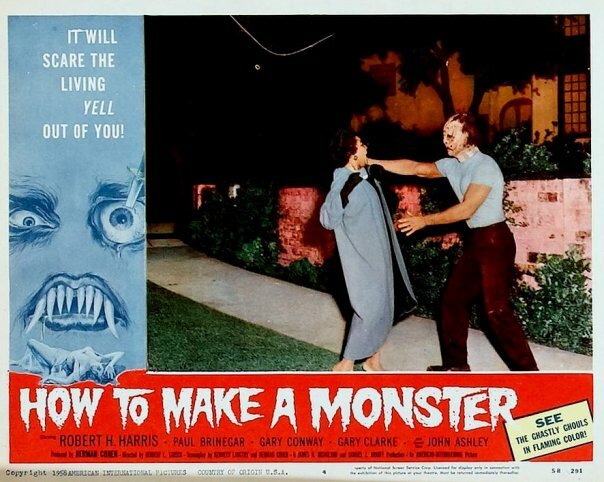 Maniacal Movie Poster Monday # 91! Saturday Night at the Movies 10/20/12! 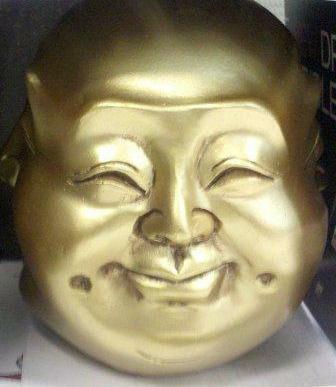 Buddha Man's Tricks or Treats 2012! PSA A Go Go 10/16/12! 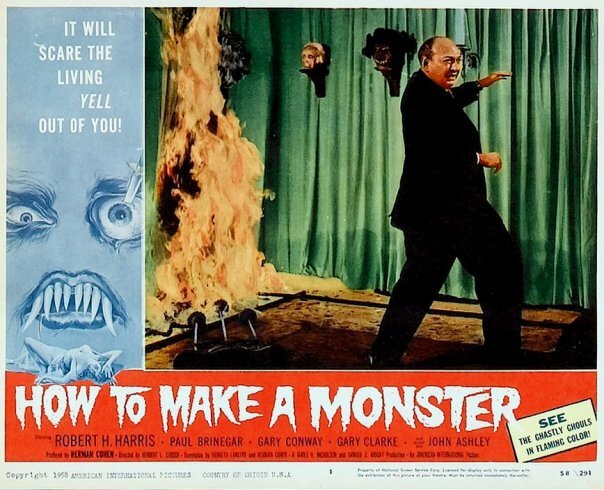 Maniacal Movie Poster Monday #90! Saturday Night at the Movies 10/13/12! The Video Vault of Mora Tau 10/12/12! Then Man with One Dies! 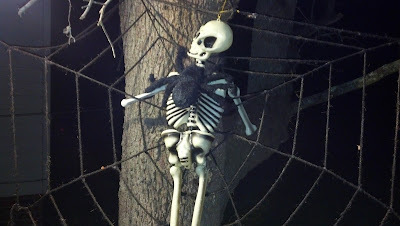 TenList Presents: Halloween Horror Hotties 2012! Less Industrial Light, More Magic! 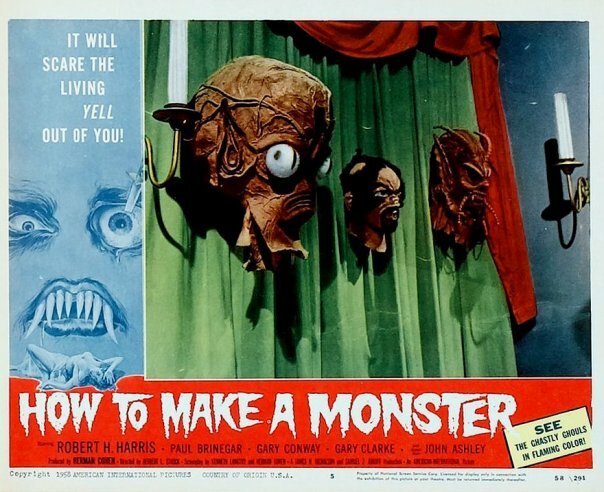 Maniacal Movie Poster Monday #89! Pieces of Talent Worldwide Online Screening! Saturday Night at the Movies 10/6/12! Clownin' Around Under the Full Moon!